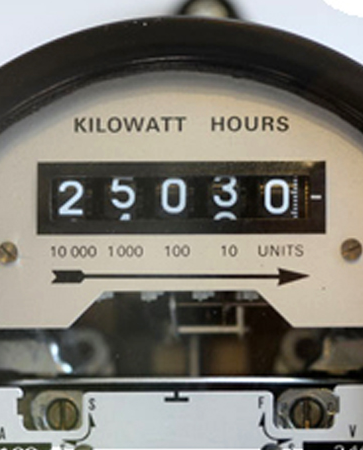 Sometimes, you will receive a bill based on an estimated read when the meter reader is unable to read your meter. To prevent any surprises with your bill, we have provided you information to help you read your meter and to prevent you receiving estimated reads in future. If the meter reader cannot access your meter, or has not provided Sumo with your meter data, your bill may be based on an estimated read. This will be specified on your bill. How to prevent receiving an estimated bill? Provide us with access instructions at least 10 business days before the meter is due to be read to pass onto the meter service provider. Gas meters display usage in either metric or imperial units. 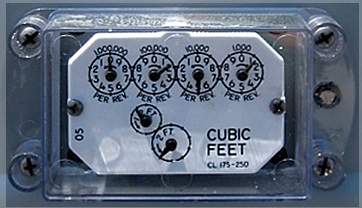 Metric gas meters are the most common. Imperial gas meters are an older style meter. The Cubic feet will be converted to cubic metres – 1 cubic metre = 35.3 cubic feet. Sumo will accept a read from an analogue or accumulation meter, if you provide it before the due date on your bill. Read the meter from left to right. Include the number after the decimal point if there is one on the meter. I’ve received an estimated bill, what do I do? 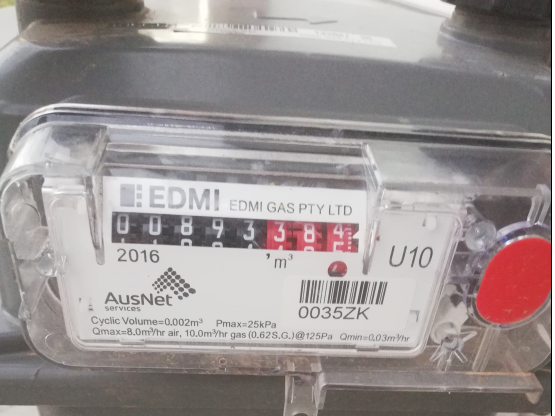 Contact Sumo on meterread@sumo.com.au before the due date of the bill with a photo of your meter which clearly shows the read on the meter and the meter number. If accepted, we will reissue you an adjusted bill which will have new payment terms depending on when you provide us with the read. The new bill will show as an estimate but will be based on your read. It’s your obligation to provide access to the meter at least once in a 12 month period, so sometimes we may arrange a special read by the distributor rather than accepting your read of the meter. We haven’t issued a bill based on an actual read for 12 months or over. If we accept your self read and issue an adjusted bill, it will be issued for the same billing period as the original bill within 5 business days, even if your read was taken after the original billing period. The bill will still show as an estimate even though it is billed on your read. What happens if we don’t accept the read you have provided? If we don’t accept your read, we will notify you in writing and specify the reason the read hasn’t been accepted.